What made me fall in love with books was the flair of my mother, Rhoda, in reading aloud to her children growing up in Cape Town. She read Katherine Mansfield’s New Zealand stories, where the children lead lives like ours at the Cape and, reading dramatically – taking multiple roles - the whole of A Tale of Two Cities in a room darkened against the sun when I had measles. That year, aged eleven, I objected to her bedtime choice of Treasure Island. ‘It’s a boy’s book.’ ‘You don’t have to listen’, she countered. Crossly, I stamped out of the room and banged the door against the sight of her and my brother under the lamplight. Her voice carried faintly into the passage, as sinister Long John Silver arrived on the scene. It was so compelling that, though I was too stubborn to give in, I tiptoed to the door and stood with my ear pressed against it. So, in childhood, I heard the pulse of language: the throb of the Dickens sentence (‘It is a far, far better thing...’); the humorous pathos of Afrikaans phasing in the folk life of the veld in The Little Karoo by Pauline Smith, which Rhoda pronounced with the intonations of a native speaker (she grew up in Klawer on the edge of Namaqualand), pausing to recall the country-folk of her own childhood; and I heard too the arduous plod of Eliot’s ‘Journey of the Magi’ – that spiritual journey like Rhoda’s own. She taught me how to see and feel; my perceptions are in truth hers. Reading Chekhov by Janet Malcolm shows stories growing out of the Russian landscapes. Chronology proves less important than forays into the inner life in its physical surroundings. Slid into the book is a critique of the genre: Malcolm shows up six biographers who give different versions of the facts of Chekhov's death. How slippery, how hard-won is truth. The Ballad of Dorothy Wordsworth by Frances Wilson. The fascination of Dorothy Wordsworth lies in two things most of us wish to experience: creativity and depth of feeling. For Dorothy, the two are interfused in her scrutiny of nature and in her closeness to her brother, the Romantic poet, William Wordsworth. Separated as children, they come together in Dorothy’s late twenties when they roam the countryside and share a cottage. During Dorothy’s childhood she lived in others’ homes, and after William’s marriage, she will be again a third party. Frances Wilson has made a boldly original decision to focus on the few years of Dorothy’s creative union with her brother, a life wholly given to poetry at the high point of her brother’s output. Part of the fascination of reading this book is the way it stretches our capacity for feeling out rarities of apprehension between the facts. For though it’s impossible to define genius, this book takes readers as close as we can go. Her Husband: Hughes and Plath – A Marriage by Diane Middlebrook is a dual portrait about what marriage can do to develop literary stars. Turning away from the public fixation on Plath’s suicide and the standard story of a destructive union, Middlebrook’s heartening research reveals the extent of Hughes’ and Plath’s co-operation and mutual encouragement as poets. Sometimes they use the same paper to draft their works. Middlebrook sustains our curiosity about the integration of domesticity and children with ambitions on the Hughes- Plath scale. The Convert by Debbie Baker, published by a small press in the U.S., is a biography of an unknown woman, a Jewish New Yorker who converts to Islam and makes a new life in Pakistan. The originality of this work lies in its blend of delicacy and the questioning determination of its approach to a subject who has twisted her story in the mass of papers she donated to the New York Public Library. The biographer takes you with her into the archive with its grey boxes, and you sit at her side as she peels away outer layer after layer until she comes literally face to face with the convert manifesting the killer ethos of the Islamic terrorist. What a meeting of biographer and subject: it deserves to be a classic of the genre. The Brontë Myth by Lucasta Miller is an innovative book of a different kind: an intellectual history, as one ephemeral and often absurd theory succeeds another, catching up the famous sisters. This opened up a new way of looking at lives through the lens of what happens afterwards, demonstrating our need to peel back accretions of legend. When Lucasta and I met in 1993, I was working on a chapter called ‘Surviving’ to follow Charlotte life, which started with Mrs Gaskell’s biography of 1857. It was fascinating to read a draft of The Brontë Myth, which brought out the after-life as a full-length subject, in effect a critique of biography itself. Since ‘Surviving’ in 1993, I’ve looked longer at the mythical accretions in the after-lives of my subjects. While I was writing Vindication I decided to add four chapters to follow Mary Wollstonecraft’s interrupted life with the reverberations of that life for her daughters and followers in the next generation. An editor to whom I was assigned for a while at Penguin resisted this. ‘Lives end in deathbeds’, she said flatly. Not always, I thought, and certainly not so with one as influential as Wollstonecraft. In a biography of Emily Dickinson, the first half the book looks back to her volcanic character in the context of a family feud which blew up during her lifetime and which, bizarrely, remains active to this day, distorting the poet to suit opposing camps. The second half of the book tells this story of a ferocious and ongoing feud and the ways it promoted a myth that wrapped itself around Emily Dickinson, and obscures her still. The essay as a genre has always thrived in America. A favourite essay is on ‘The Palm House’ at Kew Gardens. It’s in Of Gardens, by Paula Deitz, a collection of essays mostly written for the New York Times. This essay, like a perfectly composed poem or work of art, lifts us out of our disorderly existence and transplants us in the realm of design. Lynn Freed's collection of autobiographical essays about Leaving Home, published by Harcourt, has a special place in my heart, especially the trauma of a schoolgirl from South Africa who comes to America on a field service scholarship and, being Jewish, is assigned to a Jewish family whose tastes and habits are totally incompatible with those of her own literate theatre family back in Durban: I loved Lynn's treatment of this hilarious mismatch, but more important is the deep, bonding subject of expatriation. I delight in the honesty and self-mocking humour of New Yorker Phillip Lopate, have read every one of his essays, and wish there were more. In England the essay thrived in the eighteenth century. An all- time favourite is Dr Johnson on Detractors. The most damage to reputation is done not by the "Roarers", nor even by more dangerous "Whisperers", but by that "most pernicious enemy", the "man of Moderation" - he who "discovers failings with unwillingness, and extenuates the faults which cannot be denied." Homemaking for the Down-at-Heart, by prize-winning poet (the Olive Schreiner award) and novelist, Finuala Dowling, is a funny, rueful story of a night-time radio communicator who, in different ways by night and day, lends herself to other lives and carries them on. Her heroism as her aged mother’s carer combined with her life as a single mother is a domestic epic sung without bravado. A flair for the absurdities of dialogue, especially the self-absorption of unpromising men on blind dates. I finished this novel sorry to stop living with these characters. This novel is as terrific as the author's previous novel, Flyleaf, where we see the impact of words on our lives through the experience of a divorced and struggling language teacher. Zakes Mda, The Madonna of Excelsior (Oxford/ Farrar Straus). A novel based on an incident in 1971 in a South African dorp. Under the notorious laws of apartheid, leading citizens were charged in court with "immorality" - sleeping with local black women who worked as servants in their homes. This novel transcends its sensational origins; it celebrates an African tradition of generosity and mutual support - offering a vision of hope for the new South Africa in the face of political corruption and the ravages of AIDS. Leonard Woolf (publisher of the Hogarth Press) remarked that best- sellers are ‘second-rate’ books. He’s talking of course about lasting literature. I believe that if he and Virginia Woolf were alive now their discerning eyes would have welcomed original fictions by Judith Ravenscroft (My Life with Belle and The Way We Loved, to be completed by a third novella as a trilogy) and by Karina M. Szczurek (Invisible Others, published in 2014 by Protea in South Africa). Each in her way develops an inward voice of a scarred woman living largely in solitude -- I’m drawn to these women who appear as new creatures crawling out from under the stone of history (to steal a phrase from Virginia Woolf). Leonard Woolf’s conclusion can’t be applied universally: it obviously can’t apply to Dickens. Nor to deserved best-seller, Alica Munro (see Stories below). Nor to Anne Tyler who is always perceptive about people on the margins, wives in particular, as in my favourites amongst her novels: Breathing Lessons and The Ladder of Years. Maggie Gee, The Flood (London: Saqi) Brilliant interplay of urban reality and apocalyptic allegory. Stands out as a daring, ambitious book. I enjoyed Alice Mattison's Jewish-America novel Hilda and Pearl about two sisters of her mother's generation, putting the domestic affections at the centre of existence, as I feel they should be in place of public norms of aggression and power represented by politicians, disgraced bankers and the destruction of awareness promoted by corporate greed. I greatly admired Mattisons epic novel of Jewish-American life from the Thirties, When We Argued All Night. Fictional biography is not a genre I’m drawn to because unless it’s as brilliant as Richard III, it’s too unconvincing. Verifiable fact can often be more amazing than fancy. I can’t believe, for instance, that Thomas Cromwell had much to redeem him, in view of Holbein’s telling portrait of a sly-eyed butcher. A notable exception is the inwardness of Miss Fuller, poet April Bernard’s imaginative portrait of Margaret Fuller. At the Edinburgh Festival one August, I picked up Candia McWilliam's novel, A Little Stranger, an absorbing read, drawing us into a relationship between a pregnant woman who is eating compulsively and a too-perfect nanny. McWilliam's extraordinarily fertile vocabulary brings out the nuances of strange situations. After that I read her stories with the same intent pleasure in her siftings of character in distinctive Scottish settings. I was drawn into her memoir of blindness, What To Look for in Winter – drawn particularly by what seemed to me a Jamesian sensitivity to language and experience. The expanded time scale that Alice Munro packs into her stories through flash-backs and startling flash-forwards have something of the pathos of Hardy who takes the reader close to an individual like Tess, and then shocks you with a long-shot of two girls crawling like flies across a grey landscape --motes in creation. Munro gives us this continuum of existence, its humanity and tragedy. Katherine Mansfield, The Montana Stories from Persephone Press: puts together, in chronological order, the great stories of her last months. My favourite is the frieze of family scenes in her longer New Zealand story At the Bay, a sequel to Prelude. My mother, a devotee of Mansfield, read this story aloud when I was a child - a mirror of our own family: sporting father, dreaming mother, beside the sea. Lynn Freed's collection, The Curse of the Appropriate Man. As South African expatriates at Columbia University, Lynn and I met in Lionel Trilling’s seminar on Wordsworth in 1967 (described in Shared Lives). Freed's story of a Jewish girl arriving in New York and finding herself misplaced with a Jewish family, and then misplaced again with a WASP family, is a deliciously comic take on being new and alien in America. I admire the acumen all Lynn has done as a novelist, essayist and accomplished lecturer. It’s reminiscent of the incisiveness of those two great detectives of human nature, Chaucer and Jane Austen. Two New York memoirs by Joyce Johnson, Minor Characters: A Beat Memoir and Missing Men should be classics of the genre. I found them more absorbing for the story of the author herself than for her Beat milieu including Kerouac. This is a portrait of a responsible woman who lends herself to the creativity of irresponsible men in the fifties. The ethos of the time is for a woman to prop up a man but the reader feels the proto-feminist passion of the author and wonders at her extraordinary resilience in tough situations. A little boast: Persephone books took up my suggestion that they reprint Hilda Bernstein's domestic memoir of a woman's political life at the height of apartheid, The World that Was Ours. It was published (2004) with a new foreword by the author, bringing out what she and other determined women achieved, through protest in prison, during the Treason Trials of the late fifties. A review by Albie Sachs notes how well this book endures to speak to a new generation. The fact is Hilda Bernstein can write. Her calibre reminds me what Eliot said: there's no substitute for being very intelligent. There has been a surge of memoirs on the impact of the holocaust on the second generation. I was gripped by Lisa Appignanesi’s portrait of her mother, a Jew who passed as Polish and used this advantage with extraordinary instinct and daring to preserve her family throughout the war. I admired too Eva Hoffman’s After Such Knowledge and an earlier memoir that is already a classic, Lost in Translation. Two stories. Two languages. 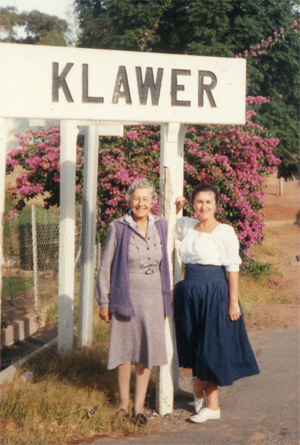 There’s the daughter of holocaust survivors growing up in postwar Poland. And then, across a mute divide, there’s an adolescent transplanted against her will to the New World. Her unmaking and remaking as a writer is relayed in terms of language. Tesknota, Polish for nostalgia, echoes with ‘tonalities of sadness and longing’. English, by contrast, appears a language of ‘will and abstraction’. At the core of this memoir are inward debates between different mentalities shaped by language. The triumph is that Eva Hoffman is far from lost in translation; her loss provokes a language of her own. She is unafraid of words like ‘triangulate’ and ‘bituminous’. Her introspective and unashamedly serious vocabulary is extended beyond the range of native speakers. Readers are drawn into her crossings, as into friendship which in Polish, we’re told, carries the strongest connotations of ‘attachment bordering on love’. Carole Satyamurti has completed a 700-page translation of the Indian epic, the Mahabarata (Norton). I was privileged to read a bit of the final draft and impressed by the drama and clarity. At night, when I can't sleep for thinking about the fate of books, it's cheering to read Pope's Essay on Criticism (1711) with its distilled judgements - What oft was thought, but ne'er so well express'd. Isobel Dixon looks at creatures with a dazzling, playful eloquence in The Tempest Prognosticator. Her 'Postcard from the Colonies', playing out an image of a monkey with the face of one-time foreign minister, Malcolm Rivkind, is haunted by the contours of the Africa colonials encountered and imprinted with their weird ways. It recalls the first poem of hers I read, a surreal, intrepid swim from England to South Africa, which spoke to me strongly of expatriate separation and dreaming. I loved too the tenderness of 'Meet My Father' in a previous collection, A Fold in the Map. I’m particularly drawn to the work of three unpublished poets. The poems of Faith Williams, a school librarian in Washington DC, blend the largest issues with domestic life in a quirky, edgy, humorous way that's reminiscent of Emily Dickinson. Kieron Winn: a one-time pupil now teaching in Oxford, is unafraid of the big subjects. A refreshing contrast to a stale fashion for small ironies. The third is Rhoda Press. Her visionary poems come together as a spiritual journey emanating from illness and the African landscape. 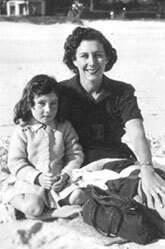 Rhoda Press was my mother, and has had an immeasurable influence on my view of literature, a subject I examine in Divided Lives: Dreams of a Mother and Daughter.